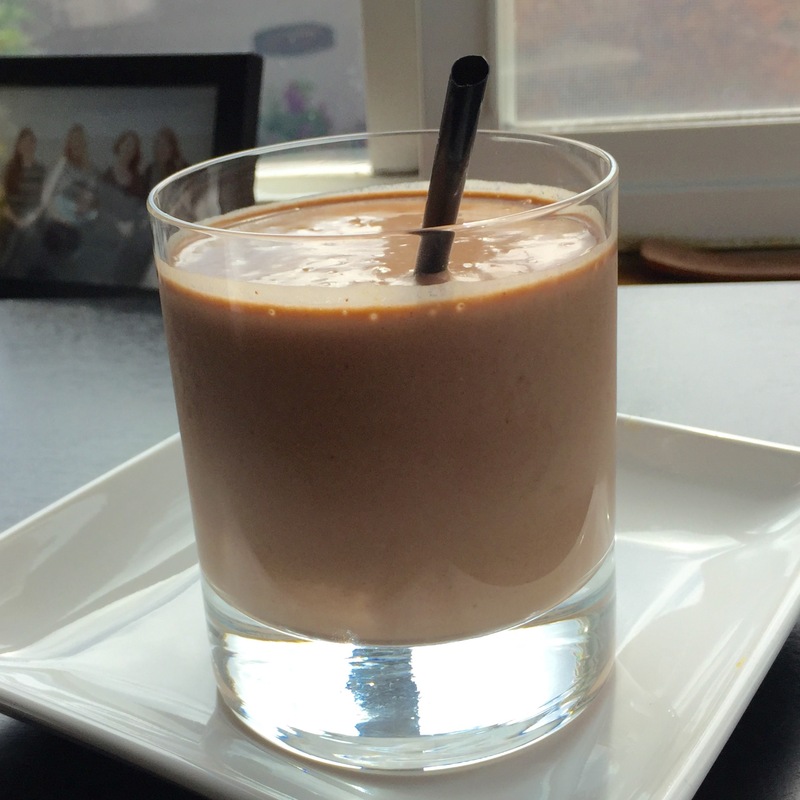 During my 21 months of exclusive pumping, I kind of became obsessed with milk-boosting foods. There’s a fancy name for those foods, but I just call them Milk Movers. Breakfast was and is the hardest meal for me, and after having a newborn with special needs that I pumped milk for eight times a day, breakfast became a handful of trailmix and a cup of coffee. This was not sustainable for many reasons, but not the least of which I needed MORE food, and balanced meals. My milk supply was barely adequate to begin with, so getting plenty of Milk Movers was imperative. While I deeply desired to eat better, I had a hard time fitting in all of my responsibilities, including responsibly feeding myself. My bandwidth for anything beyond survival was pretty minimal in those days. Adding in Milk Movers, which I definitely needed, seemed downright impossible. So, I began experimenting with foods that would be fast, nutritious, provide solid sustenance, and would not overwhelm me with too many steps. Smoothies seemed like the best option. You basically just take a scoop of this and handful of that and put some kind of liquid in it and call it good, right? Right. I came up with a few recipes to keep handy, and tweaked them to feel like I was having an indulgent treat. The healthy factor could just be a bonus. My very favorite was this little gem. Full of protein, flavor, and it felt like a complete indulgence. Drink immediately and feel happy you are giving yourself and your baby great and delicious nutrition. *If you can’t do peanut butter, almond butter will work just as well, and so will sunbutter. And if you are feeling really daring, you can add a handful of baby spinach and get some greens in there, too! Also, I peeled and chopped a whole bunch of bananas once a week, then froze them in individual servings so I could easily grab them to make a smoothie. This was a total lifesaver. I didn’t have to think, I just had to blend. All of you mamas are doing great work for your little babes. Keep it up. 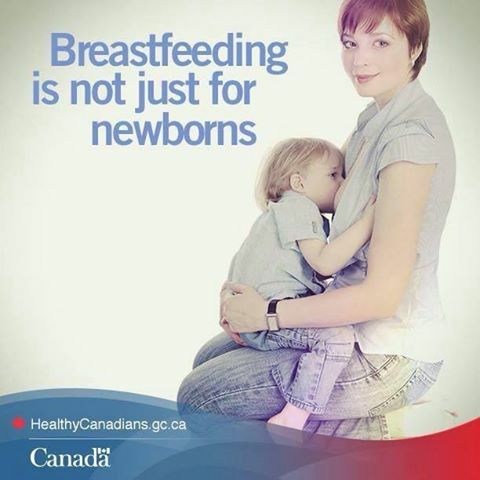 Supporting breastfeeding as a marketing tactic? That’s what the Family Friendly Business Initiative is hoping businesses of all sizes will see in their project. Providing families a way to find local businesses that have pledged to be a supportive space for breastfeeding mothers, the Family Friendly Business Initiative just asks participating businesses to provide a welcoming attitude and a comfortable clean environment for breastfeeding moms. Companies that agree to participate get listed on the Initiative’s website, marked on a google map display to make finding them easier, shared on the Initiative’s Facebook page, listed in materials given to new moms in the local hospital, and given a decal to display identifying their location as a safe place for breastfeeding mothers. In addition to the website, there is an app in the works which will make finding businesses in the Initiative an easy option in the palms of breastfeeding moms on the go. For most businesses, it’s a business growth opportunity that may be too good to pass up. It’s simple, easy, a medically endorsed community initiative, and full of benefits for the companies that choose to participate in the form of free marketing. And based on a quick informal poll on The Leaky [email protected]@b Facebook page, there’s a market for it too. For some women, breastfeeding their child wherever they are, whatever they are doing is no big deal. They are unfazed by the possibility of being asked to coverup or move. But each woman has her own comfort level and many would prefer to find a place that is known to be “safe” for breastfeeding moms and where she and her little one can be left in peace. For some, this challenge can be so overwhelming that they’d rather stay home than risk finding themselves out and about in a potentially hostile environment. Moms that are afraid to leave the house due to concerns about finding a comfortable and welcoming place to breastfeed their baby are in jeopardy of either lowering their supply if they feel they must supplement which could lead to them not reaching their breastfeeding goals or increased risk of postpartum depression if they feel trapped in their home. The Family Friendly Business Initiative is helping businesses that fit the bill connect with moms that are in need of breastfeeding friendly environments. Mothers are a significant portion of the spending demographic, businesses know this, so for them to provide a safe place for moms to breastfeed without fear of harassment or discrimination can provide a boost to not only the family but the business and community as well. In most states, mothers have the right to breastfeed their children wherever they have the right to be but, unfortunately, that doesn’t always mean they experience a warm welcome from businesses and employees or other customers. Due to a lack of awareness of the laws supporting a mother’s right to breastfeed her child, some have experienced subtle or overt forms of discrimination and harassment so far as having businesses calling the police on breastfeeding mothers. Repeatedly incidents make national or even global news where a business has told a mother to stop breastfeeding on their premises or leave. Such experiences can intimidate mothers who desire to breastfeed into not leaving the house or compromising her breastfeeding goals. These actions undermine the message health care professionals and scientists are giving moms that there are risks to artificial breastmilk substitutes, society isn’t walking the talk. As a WIC breastfeeding peer counselor in Ames, Iowa, Jennifer Pitkin knew this reality first hand in her work to support moms in their breastfeeding journey. Time and time again she heard from women that were afraid to breastfeed in public and would use formula if they had to go out, over time their breastmilk supply diminishing as a result. For many of them, pumping was much harder than formula (and since not all moms respond well to pumps, not always a viable option) so they would switch for those feeds that happened while doing errands and shopping. 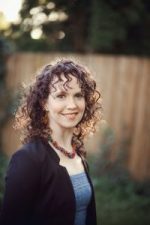 Talking with her local La Leche League and her retail manager husband, Jennifer was inspired to tackle this problem from a different angle and the Family Friendly Business Initiative was born. Today, a year after this inspired idea to support moms and the businesses that support moms, the grass roots Family Friendly Business Initiative has grown to 4 local chapters and increasing interest from other states. The participating businesses communicate their status as a Family Friendly Business to their employees including a letter displayed in the workers area explaining laws supporting breastfeeding and a mother’s right to do so in public. These businesses may or may not designate an area specifically for breastfeeding mothers and the Family Friendly Initiative lists what kind of accommodations are available for families. At this time 25 out of 28 businesses contacted have agreed to participate and while not all of them initially were sure about the opportunity, after some education most have enthusiastically joined. It’s fairly simple for a company to be involved with many advantages not the least of which is a positive impact on the economy. This medically endorsed community project supported by the Iowa Breastfeeding Coalition has been well received by Iowa State University, which is widely displaying the Family Friendly Business Initiative decals supporting both their faculty and their student breastfeeding population. There is optimism that the Initiative will be well received by not just small businesses but large corporations as well. Encouragement from costumers for companies to join can help influence these businesses to make participation in the Initiative a priority and make a difference for families in your area. If you would like to see the Family Friendly Initiative in your area, email [email protected]. 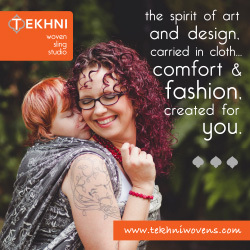 Another reference for businesses that welcome breastfeeding can be found at You Can Breastfeed Here. Traditional Medicinals Mother’s Milk has long been a trusted option for moms looking to boost their breastmilk supply. 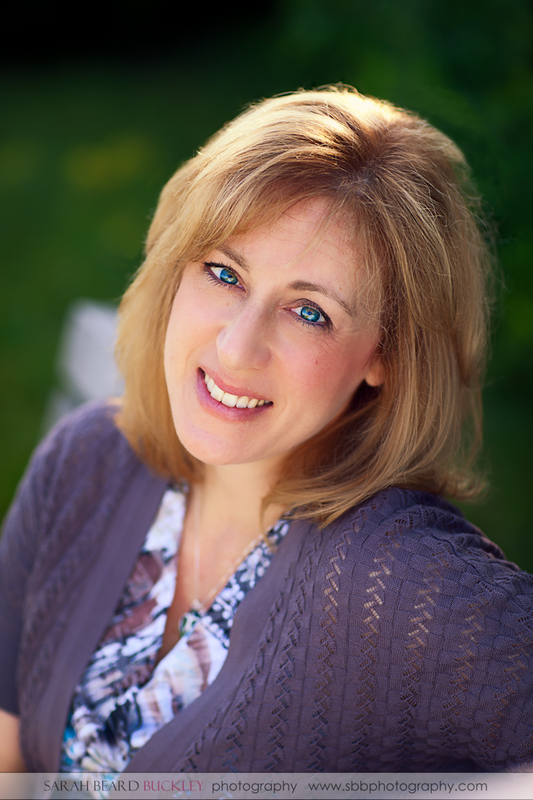 I had the chance to ask Dannelle Jenkins, marketing coordinator for Traditional Medicinals, some questions about the company, how they are celebrating moms this year, and what their Mother’s Day wish is for all moms. TLB: What should TLB readers know about Traditional Medicinals? TLB: How did Traditional Medicinals come to be? Dannelle: In early 1974, three young friends started Traditional Medicinals(r) in the back store room of a small herb shop along the Russian River in Northern California. For nearly forty years, we’ve been passionate about connecting people with plants and passing along the centuries-old wisdom of how to use them. After all these years, our aspirations remain the same: help you use plants to be healthy. We are devoted stewards of traditional herbal medicine, practitioners of sustainable sourcing, meticulous judges of highest quality herbs, caring members of our communities, proud employee-owners of our independent company, herb nerds, and plant people who, without meaning to sound too hippie about it, feel like the plants are talking to us. We hope you will enjoy the fruits (or flowers, roots and leaves) of our labor. With over 50 herbal teas created by herbalists for your health and wellness, we invite you to explore the wonderful world of plants. In good health! TLB: How are you celebrating Mother’s Day? Dannelle: This Mother’s Day, we created a slideshow of our employees and all the reasons they love their moms. Check out our Facebook page to see what we have to say to our own moms this year. Dannelle: We hope all you mothers are able to enjoy and embrace the wonderful (sometimes messy!) experience of being a mom. It’s one of the greatest things to do and to be and we love you for it. We hope you love yourselves too. Three lucky winners will be randomly selected to win a case (each case has 6 cartons!) of Organic Mother’s Milk Tea, a retail value of $32.94 each. Organic Mother’s Milk® promotes healthy lactation* and is traditionally used to increase breast milk production. * This traditional combination of anise, fennel and coriander has been used for centuries by European women, often recommended by lactation counselors and medical herbalists. 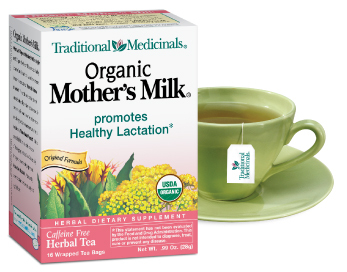 Organic Mother’s Milk® is a pleasantly aromatic balance of sweet, spicy and slightly bitter tastes. Good luck to everyone! Please use the widget below to be entered and be sure to visit Organic Mother’s Milk tea Facebook page to get to know this company that makes it a priority to support breastfeeding moms through their sponsorship of TLB and thank them for this opportunity. This giveaway is open from May 11, 2012 through May 18, 2012. This giveaway is only open to residents in the USA, thank you. Q: How do you eliminate negativity in your life? Ok, that was a major copout answer. I don’t eliminate it. I’m an artist by nature, it’s a huge part of who I am and how I see the world. I am prone to times of depression, part of the ebb and flow of life and a crucial part of the creative process. For a long time I denied and suppressed that part of me but after one particularly difficult time with postpartum depression I’ve learned to embrace it. By accepting negativity, including my own, for what it is when it arises I’m more equipped to leave it and not let it effect me. Too much. I have found that acknowledging it has made me see that there isn’t as much as I once thought. Additionally I have learned to recognize it, identify the source, call it what it is, and if need be put boundaries in place. Q: What inspired you to begin TLB? Q: Tell us more about your faith – where do you go to church and can you tell us anything about your plans for Paris? I am a protestant Christian with a huge passion for social justice and mercy ministry. We attend a local Vineyard church and consider ourselves Christ-followers, not affiliated with a denomination. Our plans for Paris have been delayed a few months due to the pregnancy (we’re already supposed to be there) but we are in non-profit arts, family, and social justice work. Tentatively the plan is for us to be in Paris come late this summer. Q: What particular challenges did you face as a busy mom and writer? And what tips/tricks/advice helped you overcome those challenges? What works for me is to be honest with myself and with The Piano Man about what I need and I expect the same from him. I grew up seeing us kids as the center of my mom’s world and while that was really nice, it also made me feel responsible in the long run for her having a center of her world. By the time I was a preteen I desperately wanted her to do something, ANYTHING, that was for herself and pursuing her own interests. As a young adult I vowed not to have kids because I watched my mom flounder. Not to mention the shock when the rest of the world wouldn’t let me be the center of their attention until I proved I deserved it. There was quite the adjustment for me there. So I’ve always made it a priority to have my kids see me into other activities that don’t involve them and I encourage them to pursue interests that don’t involve me all the while coming back to our center in our home. It’s like a base, not a focal point, and where I’m grounded. It’s where we regroup and energize, not what defines us. Meal plans, not every day but for several of our busiest days a week help but still afford us the flexibility we enjoy in our cooking. Enlisting the kids to help with housework and accepting that it may not always be done to my standards teaches them responsibility and life skills and helping around the house. We require a quiet time for all of us to get some space from each other and actively work on our own projects be it writing, knitting, coloring, napping, etc. Insisting that the girls play outside and me joining them there on a blanket with my work to keep an eye on them as they have free play. They are regularly actively engaged in healthy play and having a rough schedule or rhythm that doesn’t control our lives but does provide a framework to stretch our canvas in order to live it really helps. But most importantly, lightening up. Relaxing. Deciding what’s really important and learning to accept a certain amount of chaos. Typical day? Different every time! But I promise we do eat, sleep, play, work, and love like crazy. Q: What is the most rewarding thing you have experienced as a mother? I’m really not sure I could narrow it down to one thing but I can say that seeing my daughters grow in independence, confidence, and with character I’m pleased to see developing, I feel the most encouraged in my parenting. But there’s also just those moments of little arms flung around my neck, squeezing tight that feel incredibly rewarding, even more so because that’s not at all how they are thinking of it, they’re just expressing their genuine feelings. Q: What’s your go-to-dinner? How do you take your coffee? Go-to dinner: beans and rice with a salad. Coffee: when I’m not pregnant I either like it with cream and sugar or a strong espresso, black. Always fair trade. Q: Do you have siblings? What is your relationship with your parents? Where did you grow up? How do you balance your work and your family? How are you so freaking awesome?! Q: Besides the amazing benefits of bfing for mom and baby, what compelled you to be such a huge advocate for bfing? Was there one specific person/event that made you realize this to be a passion of yours? What are some other things that define you as a person beside family and lactivism? Believe it or not, it wasn’t about breastfeeding to me really when I started it. It was about women, children, and families. It still is. Breastfeeding is just a piece of it, a piece I can talk about and facilitate a community where others can engage in a safe dialogue about breastfeeding… and more. As for what are other things that define me, you can find more of those in some of the other answers to the questions here. I’m passionate about so much! Q: How did you got into knitting!! Bed rest with #2! Took me like 7 years to knit one scarf. Then Earth Baby started knitting in school and I helped her with a project and realized I loved it and it just took off. 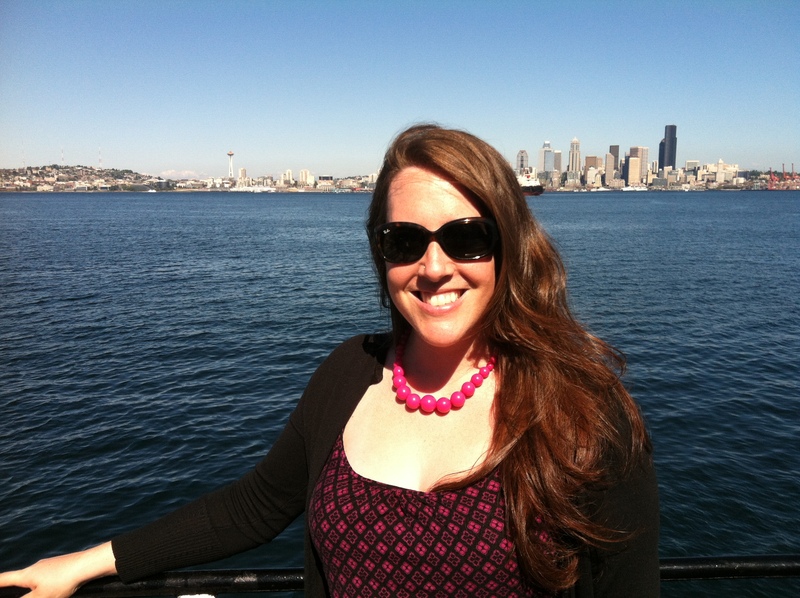 Q: What are you other passions besides all things breastfeeding, mothering, and blogging….? The arts in general. I’m very involved in the arts, went to school for music performance and also have a love for visual arts, theater, and the written word. Helping people connect with the arts, use the arts, express themselves through the arts is a passion of mine. Building up and encouraging artists is another. Challenging artists to use their voice to help tell the stories of others, particularly the oppressed, is a big part of my life. Social justice, specifically related to human trafficking is my heart of hearts though. It’s what fires me up like no other and is what breaks my heart over and over again. I’m also passionate about birth, building up women and girls, and sexual abuse issues. On the lighter side, I love to read, knit, dance, ride bikes, sew, paint, and more. Congrats on your breastfeeding! So grateful TLB could be a part of that journey with you. I figured I’d always breastfeed. I remember being weirded out by a friend’s mom breastfeeding when I was a teen but when I voiced that thought to my mom I promptly got put in my place about how breastfeeding is normal and I better never forget it as I was breastfed until I was 2.5. Though uncomfortable a bit with the idea when my turn came, I did feel it was the normal way to feed a baby so I got over it. Nope, never even been there. I do plan to rectify that some day. As my friend Cindy would say, I only wish I was that cool! Q: Are you able to keep up with everything else, like cleaning, paying bills, friends, etc.? Or are you like me with a dirty house, stacks of paperwork, and little time for friends? Like you! I make time for friends though, it’s crucial to my personal health. I do get money from the sponsors but not anything I’m going to be getting rich with any time soon! But I won’t change, the DNA of TLB is pretty set, I like what it is and want to keep it going. I have a pretty big vision for TLB, one step at a time but at the heart, it’s going to stay what it is. Q: I don’t have a question, but many of the above questions have been running through my mind since reading your posts! I’m excited to hear your answers. There’s much to admire about you … especially that you’re raising such an obviously loving family but are also able to keep your art alive. I guess I do have a question: how do you find the time for your art pieces? It’s slowed down some during the pregnancy though I picked up my brushes the other day to work on a family piece I’ve been conceptualizing. I find time by letting other things go. Involving my children helps too, they love to get set up with paints, brushes, paper or canvas, etc. They do their work while I do mine. It’s more clean up later but clean up I enjoy because the time spent creating together feeds my soul. Q: I know you were a coffee drinker while bf are you while pregnant? Q: You inspire many women, what inspires you? All of the Leakies! And my children. And beautiful art. And seeing things that I feel need to change.